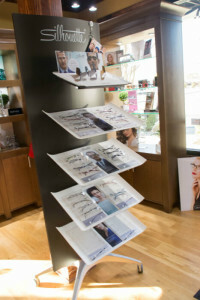 There are numerous choices when deciding on prescription glasses or contacts. Glasses not only need to look great, they need to fit your facial characteristics and lifestyle. From the workout room to the board room, we have an amazing selection of high quality eyewear to choose from, and a team of dedicated professionals who can assist you in making the right selection. There are also plenty of choices when selecting contact lenses, each offering different advantages over another. Let our trained professionals direct you towards the perfect choice for contacts that will fit both your personal eye characteristics and lifestyle. Contact lenses are a great alternative or complement to glasses for those who require corrective eyewear. They come in a variety of forms, made of different materials, and designed for different patterns of wear. Our Griffin vision specialists can help choose the best type for your eyes, furnish you with the correct prescription, and provide expert instruction for proper care and use of your contacts.